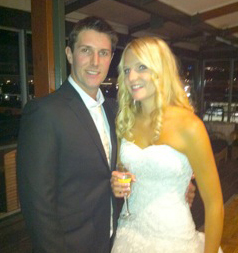 Hi Avi, Thank you so much for the great atmosphere you helped created at our wedding reception! Everyone had a great time dancing - including us! You did an excellent job keeping the party going and ensuring all went smoothly as MC. We all had a great time and Daniel and I are so happy that we chose you as our DJ - Since our first meeting we knew you would be great. Thank you for your suggestions and still staying true to what we were after. We will definitely recommend you to everyone we know looking for a DJ. We couldn't of asked for a better party and DJ / MC Thank you once again All the best for the future. Copyright © 2015 DJ Avi. All Rights Reserved.